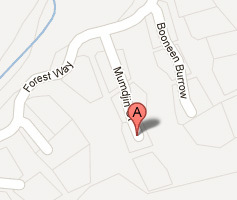 My therapy clinic is based in the tranquil environment of The Eco Village in the Currumbin Valley. Only 7 klm’s from Currumbin Beach and a wonderful place to come and visit. See map below. Kangaroos roam in their natural state; there are large expanses of green areas and the Currumbin Creek winds it’s way down through the middle of the village. Bird life abounds; so far the bird watchers have recorded 170 species! Let me care for you. PARKING: Please park at the end of the bitumen road or in the car parks opposite driveway. Payment - Currently, I do not have eftpos facilities, please bring along cash or speak to me about a bank transfer. Before or after your massage, try the Village cafe -, open every weekend, 8 am to 4 pm. and Wed - Fri weekdays, 8-3 p.m. For breakfast, lunch and snacks. 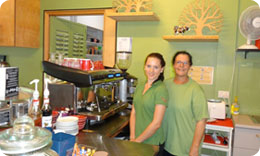 Try their delicious organic coffees, chai's, cakes and mains. Situated at the main entrance to the village, see the sign and flags. Please use the form below for any feedback you wish to write. If you're massage isn't a 10 out of 10, please let me know as I try to do my best to deliver an outstanding service. Please feel free to send me a message after your massage on your experience. Thank you for any comments you may leave. Also see me on Tripadvisor and leave a description if you feel you'd like to share.